Ring "Pink Dream" - RESERVED!!! 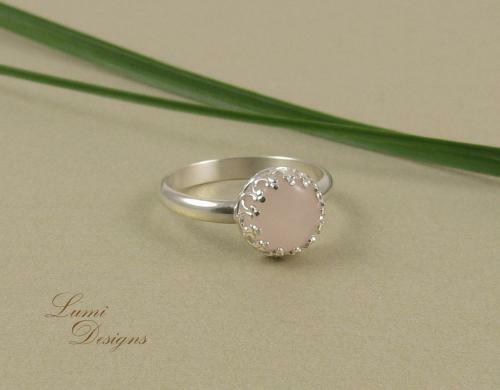 Rose quartz is the crystal of heart and unconditional love. This crystal teaches to love oneself and others as well. The special ability of rose quartz is the healing of heart wounds and restoring trust. It has a very soothing effect. Rose quartz releases tension, stress, anger and fear. Since rose quartz is a powerful crystal of love, all chakras react to it. As a talisman of love, rose quartz sends out compassion and understanding.